Is it really only the thought that counts?? The paper you use is called “wrapping paper”. You can “put a bow on it” or “tie a ribbon around it”. If something is too hard to wrap, you can put it in a “gift bag” instead. 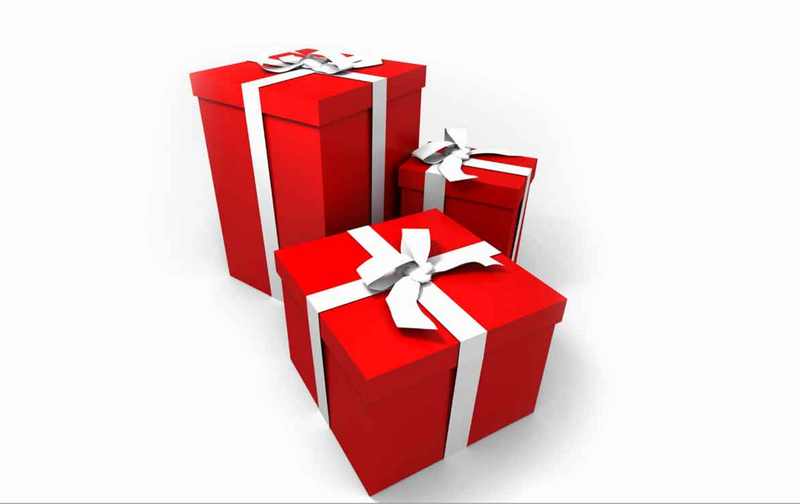 When you go to certain stores around the holiday season, the cashier may ask you, “Would you like this gift-wrapped?” Taking the gift out of its wrapping is called “unwrapping” it. A: Hey, I got you a little something. B: What? Oh! You didn’t have to do that! I’m so sorry, I didn’t get you anything. A: Don’t worry, it’s nothing big. Go ahead and open it. B: (unwraps the gift) Wow! A coffee grinder! It’s just what I wanted! A: I remembered you saying that you wanted one of these. B: That’s so thoughtful of you. Thank you so much. When someone gives you a really thoughtful and meaningful gift, you may “cherish” it for a long time. This means to keep it and treat it as something important. A gift which is not very useful might sit around your home and “gather dust”. Or, if it’s something small, you might decide to “regift” it, which means to give it to someone else. Just make sure that the person who gave it to you doesn’t find out! If someone gives you clothes which don’t fit or don’t match your style, you can “return” or “exchange” the gift. Returning it means that you get money back, and exchanging it means that you just get another item from the same store. Sometimes the gift-giver will include a “gift receipt” for this purpose. Since it’s rude to show someone the price of the gift you give them, a gift receipt allows someone to exchange the gift but doesn’t have a price listed on it.